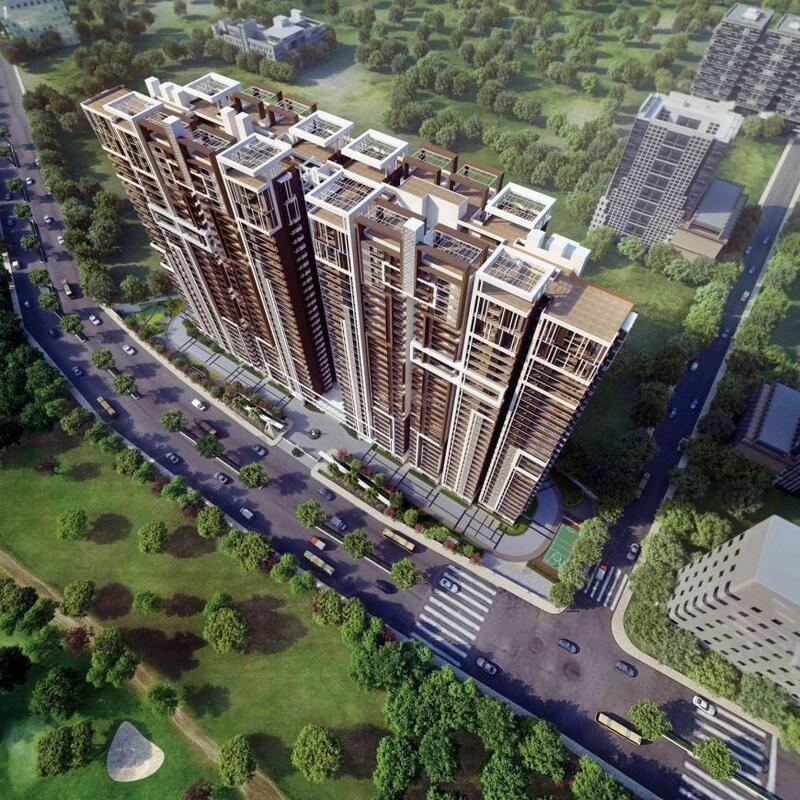 Sumadhura Acropolis in Gachibowli, Gachibowli by Sumadhura Infracon Pvt. Ltd.
1245.00 sqft. - 2615.00 sqft. Sumadhura Acropolis is a high-rise residential project in the most desirable neighbourhood of Hyderabad, which is Gachibowli. It’s a prestigious ongoing residential project that is being built by Sumadhura Group. Sumadhura Acropolis offer incredibly superior homes and unmatched amenities and possibly the best location in Gachibowli area. Sumadhura Acropolis will be built with the latest Aluminium Form work technology. 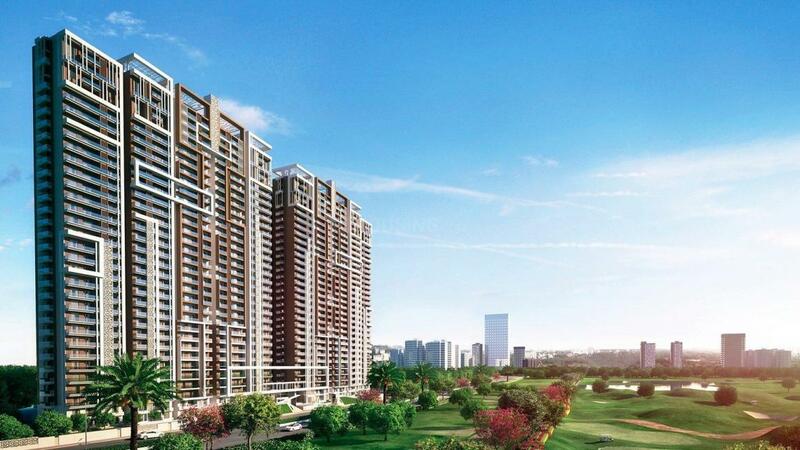 The project is just a stone’s throw from large MNCs such as Amazon, Deloitte, Microsoft and WIPRO among others and with unlimited views to EMAAR Golf Course and open skies as well as being minutes away from many life style necessities you will be truly taking "A STEP INTO LUXURY" with Sumadhura Acropolis. Scenic Golf Course View: 18 Holes Operational Championship Golf Course, 500Acres Scenic View. S-Form Construction Technology: More Seismic Resistance, Increased Durability, Reduced Leakages, Higher Carpet Area, Smooth Finishing Of Wall And Slab, Uniform Quality Of Construction, Negligible Maintenance, Faster Completion. Highest Rentals Yield Location: Expected minimum of Rs. 30,000/-PM for a semi-furnished 2BHK units, Max of Rs. 70000/-PM for a 3BHK apartment as per C&W report. Hospitals: CARE, CONTINENTAL, KIMS within the reach of less than 5mins drive. International Schools: Gaudium, Oakridge & DPS - Within the reach of 5mins drive. Entertainment & Feast: Hyderabad Central, Malls, Cineplex/Movie Theatre, Game Zones & Feast within 5mins drive. 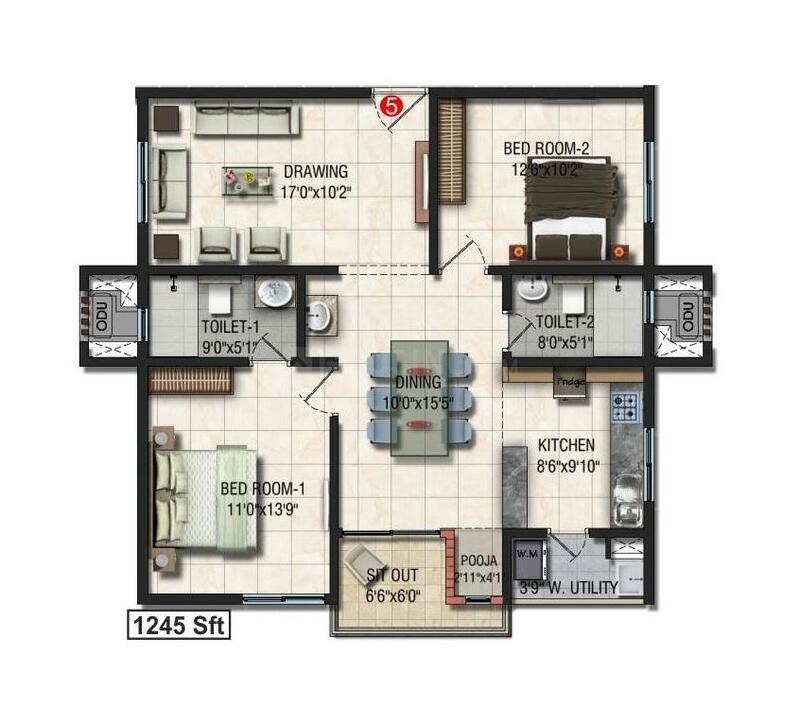 Super Builtup Area : 1245.00 sqft. 1. Gachibowli is a major IT suburb of Hyderabad, located in the Serilingampally mandal of the Rangareddy district. It is located in the common capital area shared between the states of Telangana and Andhra Pradesh. It is situated about few km away from HITEC City, another IT hub. The suburb lies in the north-west part of Hyderabad city. Gachibowli has grown into a software hub for companies operating from Hyderabad. It is home to some of the top IT companies like the Microsoft, Amazon.com, Accenture, TCS, Virtusa, Sierra Atlantic, Wipro, Computer Associates, Infosys, Capgemini, Polaris, NVIDIA, CMC Limited, FactSet and DLF cyber city phase I. Gachibowli is well connected by roads to another IT hub, the HITEC city, and also to the rest of the city. APSRTC buses, no 216, 217 connect Gachibowli to Mehdipatnam and Koti, the major city centers. The closest MMTS Train station is at Lingampally Railway Station and HITEC city. The Outer-Ring Road connects Gachibowli to the International airport at Shamshabad. A metro train service is also being planned in Hyderabad, which would provide better connectivity and provide another public transport for commuters. Educational Institutions like International Institute of Information Technology, Hyderabad, Indian Immunological Limited, Kendriya Vidyalaya, Dr. Y.S.R. National Institute of Tourism & Hospitality Management, Maulana Azad National Urdu University are situated in close vicinity. Sumadhura Infracon Pvt Ltd is a name that resonates among the prominent residential and commercial developers in Bangalore, India. Their ability to deliver on-time luxurious and affordable housing projects in Bangalore has ensured a continual interest from their customers. Their expertise in acquisition of land, appointment of architects and designers, construction, sales to after sales service, has helped them to be counted among Bangalore's forerunners in Real Estate development. The company's vision to continuously expand the role of a leading developer in the construction industry by building lasting relationships with our clientele and all concerned on the foundations of performance, trust and confidence. And its mission is to develop quality properties based on realistic values for its owners, investment affiliates, as well as its joint venture partners. It is an enterprise that maintains the highest level of personnel support and skilled professionals for an enjoyable environment. 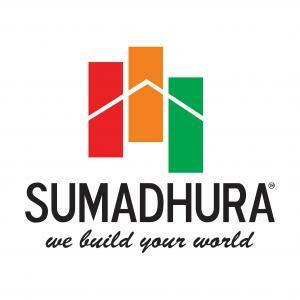 More Projects by Sumadhura Infracon Pvt. Ltd.